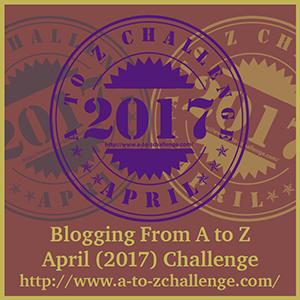 Reflex Reactions: O, P, Q, R, S, T #atozchallenge. Watch this space. Hey Ida, sounds like a tough gig on the new job and I hear what you mean when you say you have to perfect with the music! It's why I almost didn't take part this year, the worry that I wouldn't have enough time to do "perfect"... I had to force myself to use old photos in the main or I wouldn't have had time, heck I still don't have time but I'm hanging in too! But seriously hope the job's okay and you're getting some rest in amongst all those classes, new jobs can be super tough (as can old ones) and mostly I hope you're well. ... it's because of you that I did do a UVWXYZ post - thanks again for your motivation and support. ...and it was superb! So I'm glad you did, thank you. Sorry you are finding it so time consuming Ida. The visiting is difficult to manage I do agree. It's part of what the challenge is all about though. Not much longer to go now, this is the last week beginning tomorrow. Thanks for dropping by. I don;t try to be perfect, just consistent, faithful and loyal. After that I can screw up all I want. You are my second fitness blog today, and I skipped my workout. I think someone is telling me something. Arggh. Back on track tomorrow!